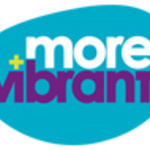 MoreVibrant.com is a new kind of online shop - we bring original home accessories that make a difference to the living environment but does not cost a fortune. Personally I...Read moreMoreVibrant.com is a new kind of online shop - we bring original home accessories that make a difference to the living environment but does not cost a fortune. Personally I am also a freelance management consultant, experienced in market research, strategy development and powerpoint presentation drafting. I also offer business mentoring to a number of clients who are entrepreneurs or looking to further their careers. - Internally also managed training and marketing communication (incl. website). Delivery of consultancy projects (Strategy / M&A / business review etc.) for multinational as well as local clients. Description: Founded morevibrant.com from scratch to offer more thoughtfully designed and affordable products through online shop.